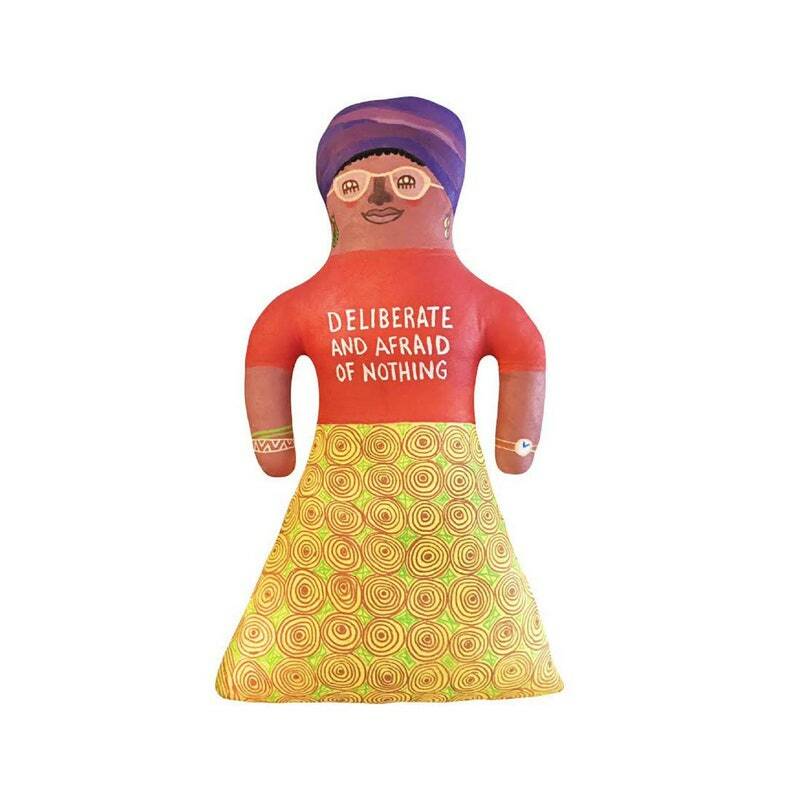 A beautiful one of a kind hand painted doll of the poet and activist Audre Lorde. I made this art doll for a recent exhibit called Silence Breakers, celebrating powerful women. A large percentage of the shows proceeds went to support Planned Parenthood which helps to empower and care for women. To continue this mission 20% of proceeds from this purchase will go to support your local Planned Parenthood chapter. Handmade 11 x 19 canvas doll painted with water based permanent fabric paint on both sides. The back includes an artist signature and small string for displaying on a wall. This doll is not intended for small children.